Are you looking for something different to give away as a gift? How about a picture frame? Recently we were asked to review some frames from www.eframe.co.uk. For our choice of gift frames we chose a wedding gift. We wanted something that would have a special meaning for the bride and groom. The frame is a Two Tone Silver plated Photo Frame with 2 Rings, and has the words "With this Ring, I thee Wed". 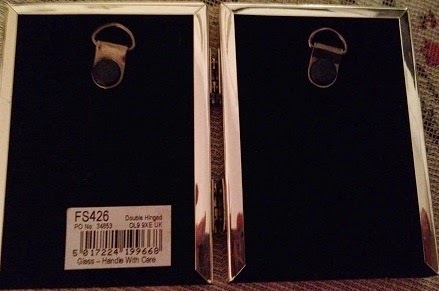 The frame comes packaged in paper and bubble wrap inside the box, so it is perfectly protected from breakage in the parcel. 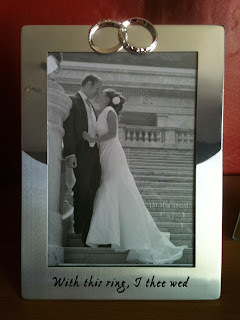 It comes as a 7x5 size which is a perfect size for the newlyweds wedding pictures from the professional photographer. The back of the frame has a a velvet back and Metal rotating securing clips fixings with a stand so it can take pride of place on a shelf in your front room. With crystal clear, high quality glass, you will have a perfect view of the happy couples precious moment. 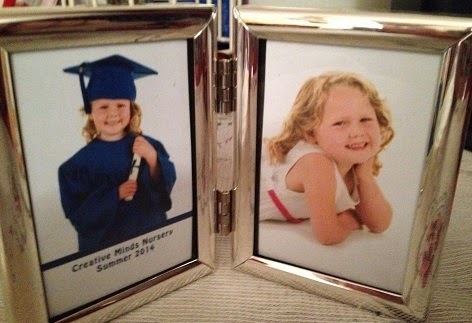 The frame can be purchased here for £10.05. 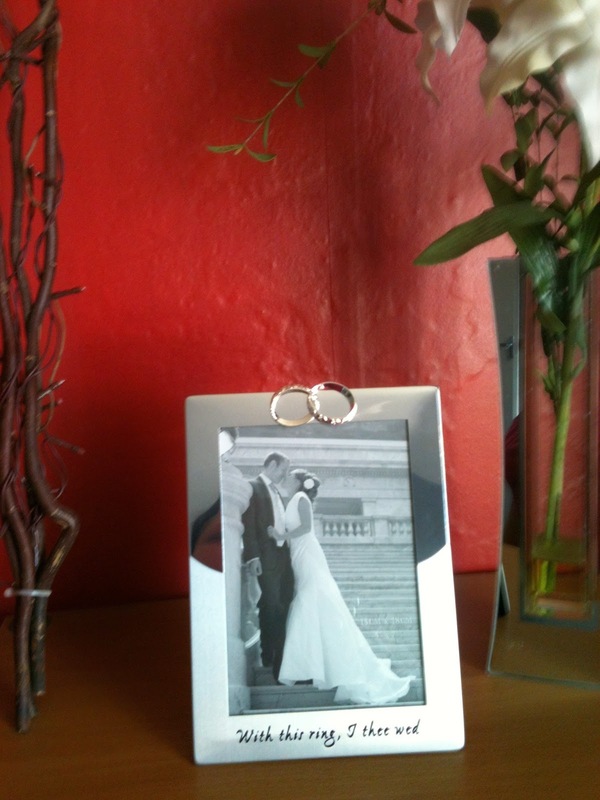 They also have a selection of wedding and engagement frames for you to take a look at and make a couples day special. made from silverplate, is silver / pewter in colour and has a silver finish. Once again the frame is fitted with high quality, crystal clear glass. On the velvet back, you will find two hooks to hang your picture on the wall if you wish to.